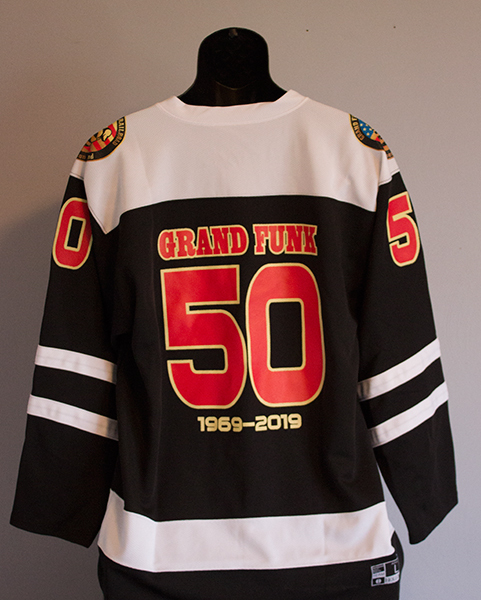 To celebrate our "50 Years of Funk" milestone, we are offering a very special, Limited Edition hockey jersey. This jersey is made using a black and white Dry-Excel™ 100% snag resistant polyester textured fabric which wicks moisture. It features a tapered V-neck collar with insert, reinforced cover stitching at seams for added durability, and set-in sleeves.